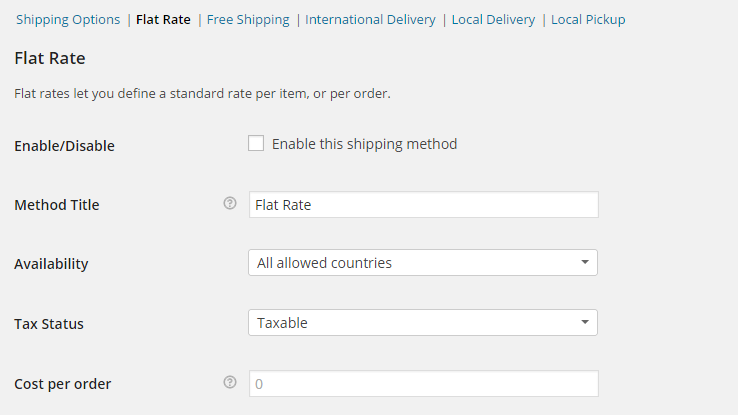 With the default installation of WooCommerce, you are getting quite a lot of Shipping Methods predefined in the Shipping Options page. In the next few lines of this tutorial, we will review the configuration process for each one of those so you can be absolutely aware of which one you should use and how to configure it. Method Title – The title of the Method you would be adding. Keep in mind that this will be visible to the customer. Availability – Here you can define the specific country this Flat Rate will be applied. Tax Status – Here you can define if the Flat Rate should be taxable. Cost per order – The flat cost without any tax applied to the same. Method Title – The title of the method which will be visible to the customer. Method availability – Here you can define for which countries this method should be available. 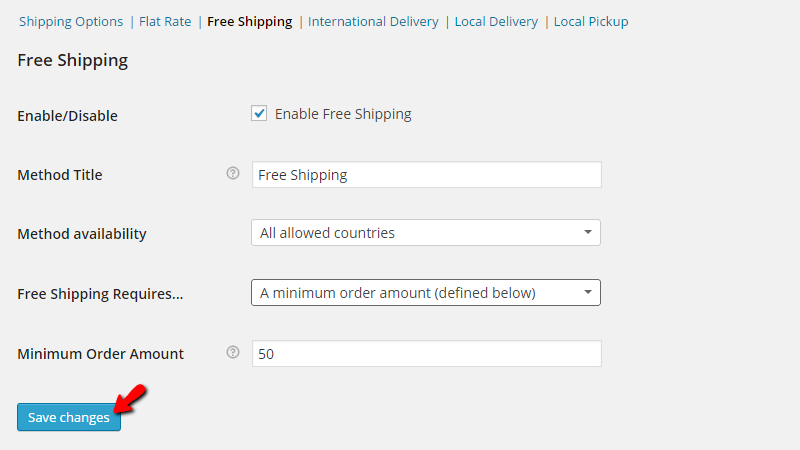 Free Shipping Requires – Here you can define the condition which will be required for the Free Shipping to be applied. Minimum Order Amount – Here you should define the minimum order amount which will be needed for the free shipping to be applied. Once you are done editing these changes please click on the “Save Changes” button so all of the changes can be indeed saved. This shipping method is used to delivering products from your Store to the customers locally. 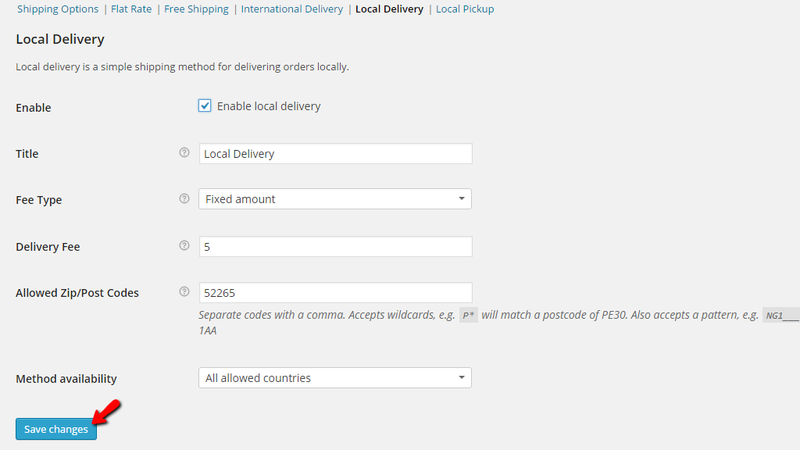 This means that the customer’s Billing address should be within the country defined as default, for your Online Store. Title – The title of the Shipping Method. This will be displayed to the customers. Delivery Fee – Here you can set the fee you would like to charge the customers for a local delivery. Allowed Zip/Post Codes – The allowed ZIP/Post Codes which can benefit from this shipping method. Method Availability – Here you can define the concrete countries this method will be available along with the default country of your Store. When you are done with the configurations of these options please click on the “Save Changes” button. The final method is called “Local Pickup” and there you will need to configure few options which will allow the customers the option to pick the product on themselves from your physical Store. Congratulations! You now know how to configure all the Shipping Methods for your WooCommerce based Online Store!